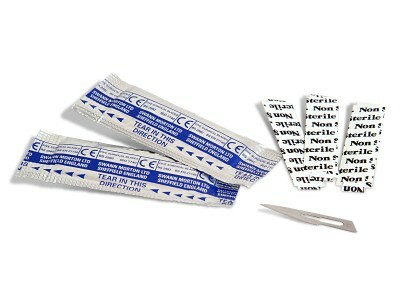 Surgical blades attach firmly to this compact blade holder for precision cutting. 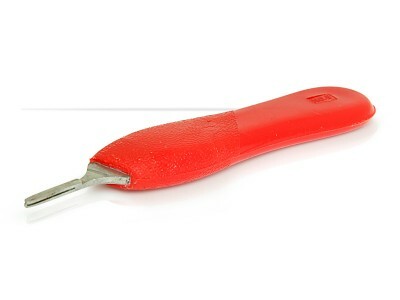 The plastic handle will not irritate skin and provides good grip for easy cutting. 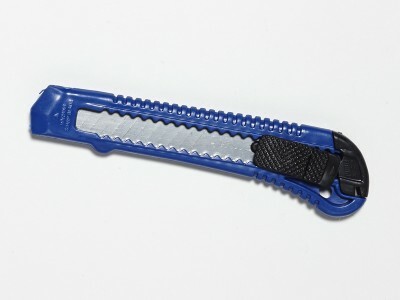 The Box Cutter Blade is a standard sharp blade which releases and retracts easily for convenient and safety purposes. The blade is perfect for cutting the kulmus or klaf. An every day tool in a busy sofrus office. 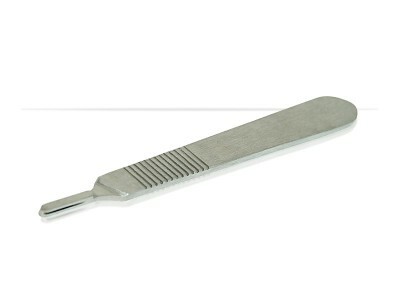 Non-Sterile surgical #10 blades have a sharp rounded shape. Their precision edges are useful as an erasing tool by scraping off letters written in ink on parchment. The blades come in a box containing 20 packets of 5 blades each. 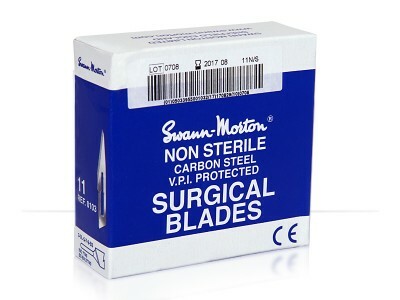 Non-Sterile surgical #10 blades have a sharp rounded shape. Their precision edges are useful as an erasing tool by scraping off letters written in ink on parchment. The blades come in foil packets of 5 blades each. Non-Sterile Surgical #11 Blades are pointy with a sharp precision cutting edge. They are needed to cut natural quills to create kosher writing tips of correct size and shape. Blades are packed in a box of 20 packets containing 5 blades each. Non-Sterile Surgical #11 Blades are pointy with a sharp precision cutting edge. They are needed to cut natural quills to create kosher writing tips of correct size and shape. Blades come in packets containing 5 blades each. Stainless steel double edged blades are useful for cutting quills to the right size and shape. They can also be used as an eraser to scratch off letters written in ink on parchment. 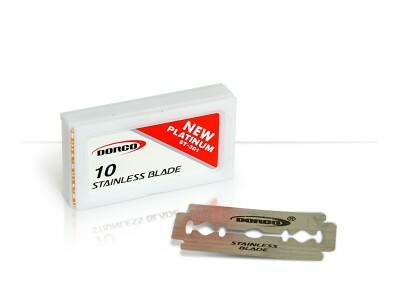 Double edged sharpness extends the blades life and usefulness. Small box contains 10 blades. Scored steel blade holder is compact, durable and easy to grasp. 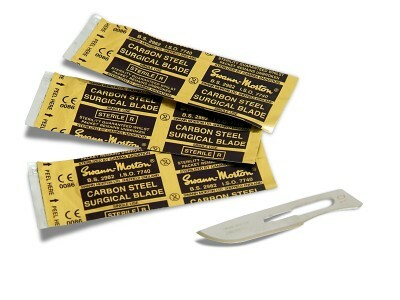 Surgical blades firmly attach to the handle for compact, easy cutting and maneuverability.